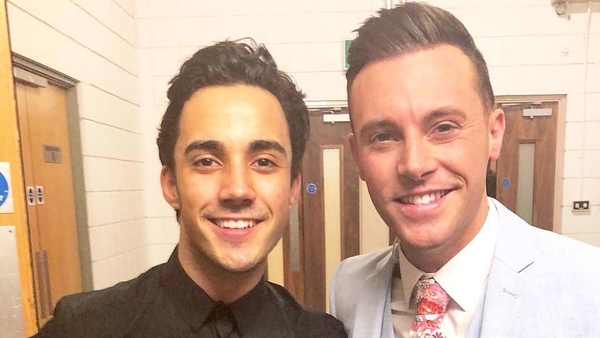 Dancing with the Stars contestants Jake Carter and Erin McGregor are among the cast announced for the Olympia Theatre pantomime, Polly and the Magic Lamp. Former Mrs Brown's Boys actor Rory Cowan is back as the outrageous Dame Polly, while DWTS winner Carter will take the role of Aladdin. McGregor will play the feisty Ann-Wha alongside social media star James Patrice's Genie. Fair City actor Ryan Andrews will also star in the panto as Olly and the panto villain will be played by Rob Vickers. Festivities will be directed by actor and presenter Simon Delaney, who is fresh from a sell-out run in The Snapper at the Gate Theatre. Over 100 children will also star in the panto, which runs in the Olympia Theatre, Dublin from December 21 to January 6 with matinee and evening shows on the schedule. Tickets are available on Ticketmaster and through the Olympia box office.